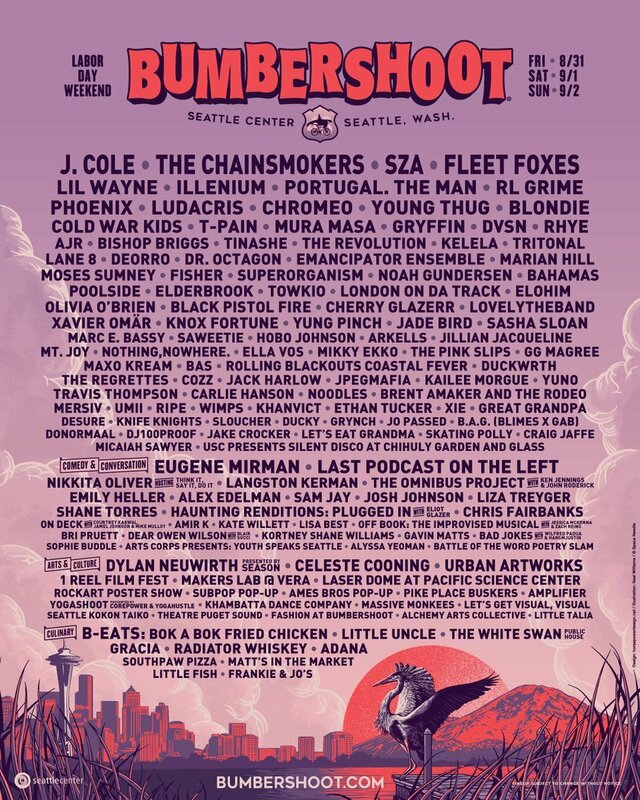 Bumbershoot has announced a huge lineup for this year’s festival in Seattle. The lineup includes a bunch of big names, including J. Cole, Lil Wayne, SZA, Ludacris, Young Thug, T-Pain, DVSN, Tinashe, Kelela, Moses Sumney, London On Da Track, Xavier Omar, Marc E. Bassy, Maxo Kream, Bas, Duckwrth, Cozz, JPEGMAFIA and many others. The event takes place at Seattle Center across Labor Day Weekend — tickets go on sale this Friday at noon.